Merge fields are used to present the information correctly in the documents (such as contracts and invoices) that you export from System One. 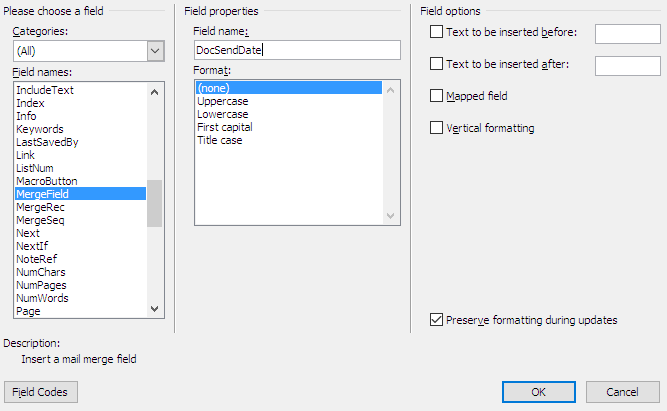 This tutorial explains the steps how to add new merge fields and update existing ones. 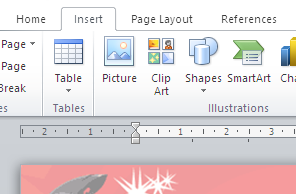 Open the document you want to edit and go to the Insert tab. 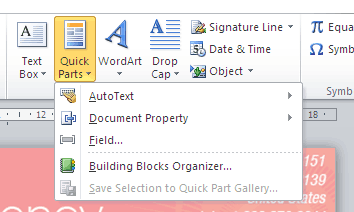 Open the Quick Parts menu and select Field. The Field dialog window will open. In the field dialog menu, choose Merge field from the list on the left side. Enter the System One merge field code in the Field name text box on the right side and click OK. 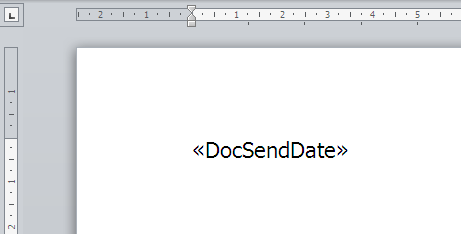 The merge field is inserted in the Word file. The object should be highlighted in gray if you click on it. Right click on the field. Choose the Edit field option from the context menu. 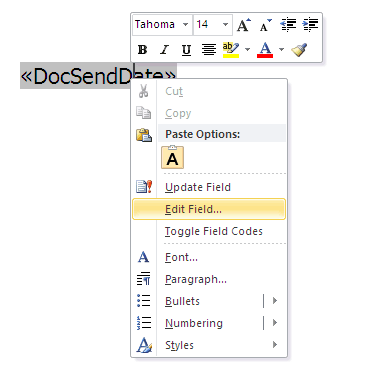 Update the System One field code in the Field name text box and click OK.